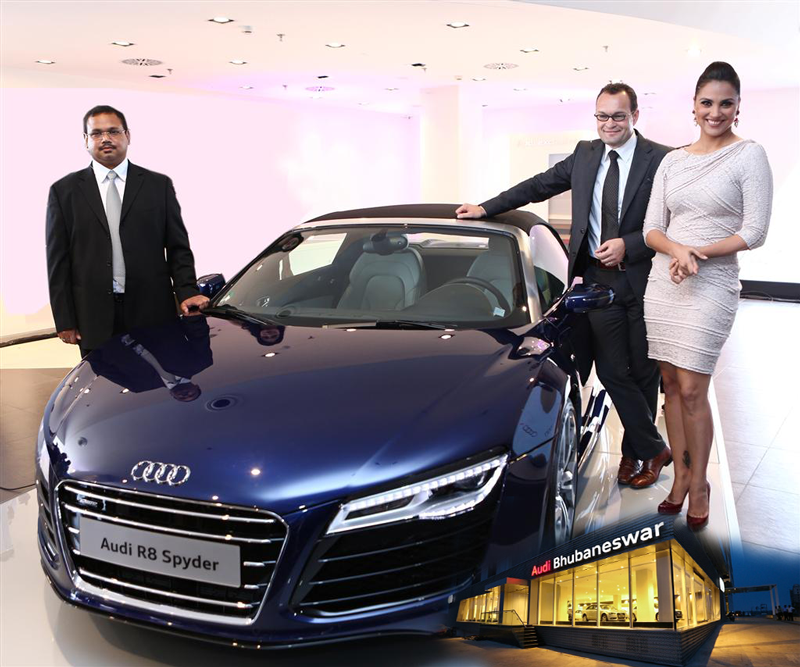 No 1 luxury car maker, Audi has opened their 26th dealership on 24th may in Orissa’s capital city, Bhubaneswar, India. In opening ceremony, Bollywood celebrity Miss Universe and most popular actress, Lara Dutta was present. The Bhubaneswar Audi luxury car maker is located inside a landmark building called Utkal Signature. The showroom is spread around in 11,500 square feet, making it the largest luxury car showroom in Orissa. Just like other new dealerships Audi India has been opening, this one too features honeycomb aluminum facade on the exterior. Inside, there is a space to accommodate 14 cars. Audi Bhubaneswar will display the entire range of Audi India cars.